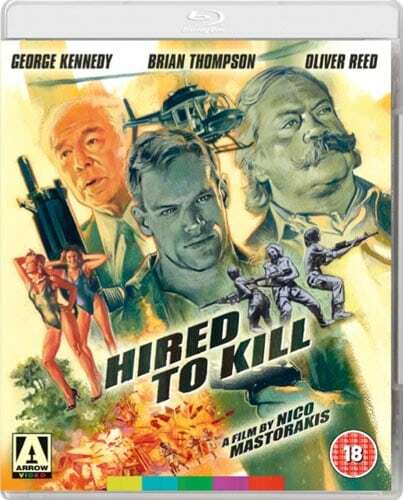 Following hot on the heels of The Zero Boys, Arrow Video has announced the release of cult director Nico Mastorakis’s Hired to Kill which stars legendary actors Oliver Reed (Gladiator, The Brood) and George Kennedy (The Delta Force and The Naked Gun series). Arriving on dual format DVD and Blu-ray from 16th May 2016, Hired to Kill is a hugely entertaining action flick featuring guns, girls and a plethora of budget-busting explosions for good measure. 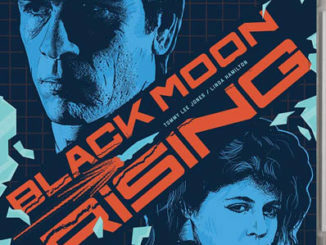 Action movie staple Brian Thompson (whose brief turn in 1984’s The Terminator led to a starring role in the 1986 Sylvester Stallone vehicle Cobra) stars as Frank Ryan, a mercenary sent to track down a rebel leader in hostile territory. Posing as a fashion designer, he won’t be going it alone, as he’ll be aided by seven beautiful – but deadly – female fighters. 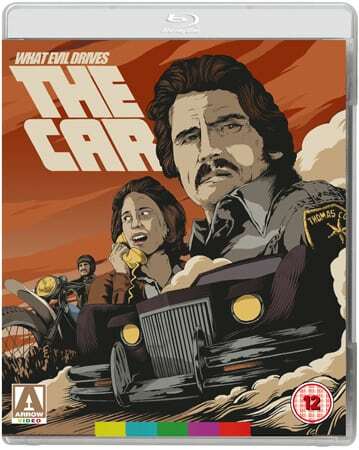 Whilst the opportunity to see Oliver Reed chewing up the scenery behind an elaborate moustache merits the price of the admission alone, Hired to Kill is also noteworthy as being co-directed by Nico Mastorakis – the man behind such cult favourites as Island of Death and The Zero Boys.